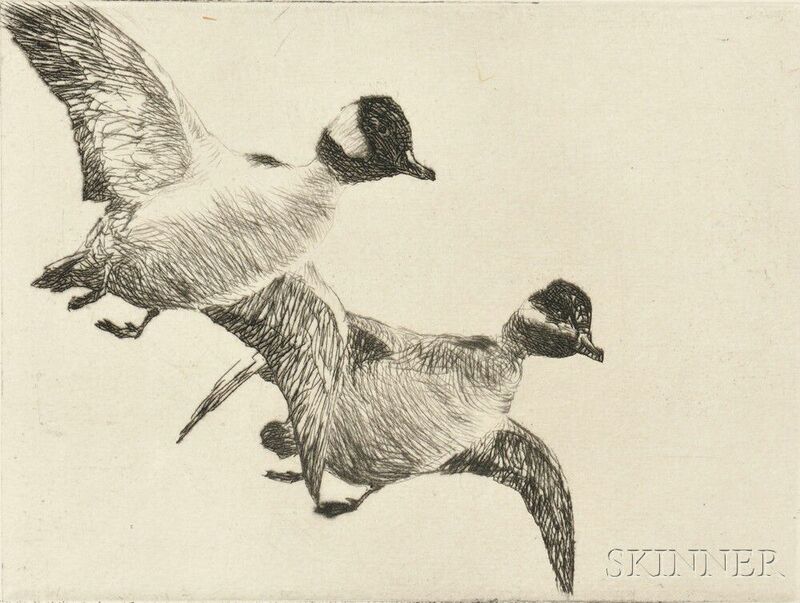 Flying Buffleheads, 1930, published state, edition of 150 (Paff, 308). Signed "FrankWBenson." in pencil l.l. 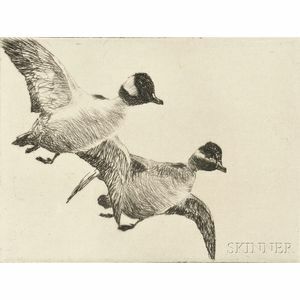 Etching and drypoint on wove paper, plate size 3 x 4 in. (7.5 x 10.1 cm), unmatted, unframed. Condition: Full margins with deckled left edge, pencil annotations l.l., erased annotations to verso.